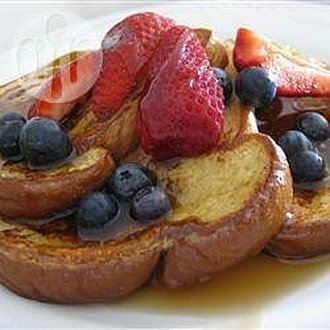 French bread covered with strawberries, blueberries, raspberries, bananas, served with maple syrup. Home-made jams served each morning, with croissants. Home baked croissants are served along with home-made banana bread cake. Yogurt as entrée. Juice, coffee and tea are served every day.